Stone naturally occurs in an amazing array of colors and patterns and sometimes the choices can be overwhelming. Having worked with hundreds of homeowners, designers, and contractors and just about every type of stone and engineered product, we can help you determine the type of stone, surface treatment, and edge detail that will make your project everything you hope for. We like to come to your project site for a free initial consultation. This allows us to better understand your vision, needs, and the unique properties of your space. It also allows us to take accurate measurements for an accurate estimate. For smaller projects we may have stone remnants to offer. For larger projects we will refer you to stone suppliers where you can select the needed slabs. 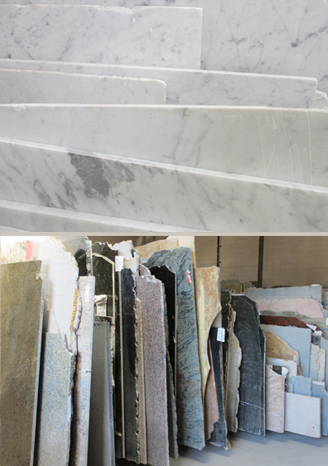 View a list of our preferred stone suppliers in the SF Bay Area.